Once your basement is dry (and can be counted on usable space), you'll be using the space much more often. 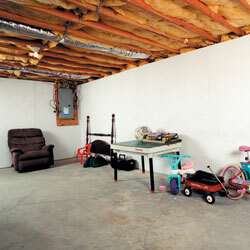 This is a great time to consider either finishing the basement or upgrading your basement walls. Your local Basement Systems Dealer can help you upgrade your walls, using products that are specifically designed for the unique challenges of a basement environment. 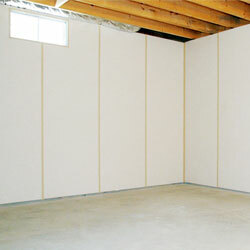 Each of our dealers proudly offers free basement wall upgrade quotes to all homeowners within their local service area. To schedule for a free appointment for a professional consultation, contact us today! Which Basement Wall Product Is Best For You? Each of our basement wall products has been designed to fit a different need for your home. Whether you're interested in insulating your walls, finishing the basement, or you're just tired of looking at those ugly walls, we have a great solution for you! ZenWall™ Insulated Wall Panels are a great way to upgrade ugly basement walls to add beauty, warmth, and value to the space. Whether you're installing this wall product on every part of your basement or you want to upgrade a utility and storage area in a finished basement, this is a great option for you. 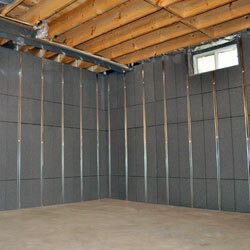 ZenWall™ is a basement wall paneling only -- installing it does not constitute finishing the basement. ZenWall™ is designed with a vinyl surface, a reflective foil backing, and an encapsulated fiberglass core. THe surface of ZenWall™ should be about 8-10 degrees warmer than the cold concrete walls behind it. 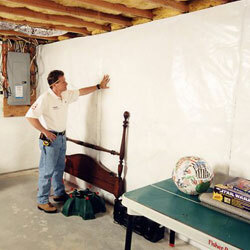 BrightWall® is designed with durable plastic panels that mechanically attach to your basement walls. Their washable surface is bright white in color, keeping your basement looking clean and appealing. When installed on your basement walls, BrightWall® serves as a barrier to water vapor that would otherwise pass through the concrete and into your basement. 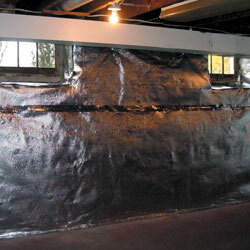 BrightWall® cannot be damaged by mold, moisture, or water during a basement flood. BrightWall® can also be integrated with our perimeter drain systems to direct water from basement wall cracks to the drain and sump pump system. CleanSpace® Wall is a flexible plastic vapor barrier that can be installed on both walls and floors, as well as on irregular surfaces such as rocks, dirt, and around appliances. Like BrightWall®, it's bright white in appearance, giving your basement a clean, bright appearance. CleanSpace® is a 20-mil poly-reinforced vapor barrier that includes a special anti-mold additive, "UltraFresh", which helps to resist the growth of mold and mildew. Like many of our other all products, CleanSpace® Wall can be integrated with our drain systems, directing water from the walls to your perimeter system. This innovative wall product is the ideal way to prepare your basement for finishing -- providing both insulation and studs in one product. 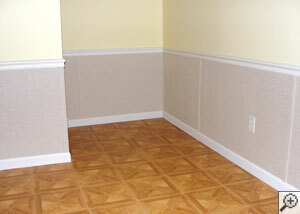 Once installed, your basement will be ready to support wall paneling. 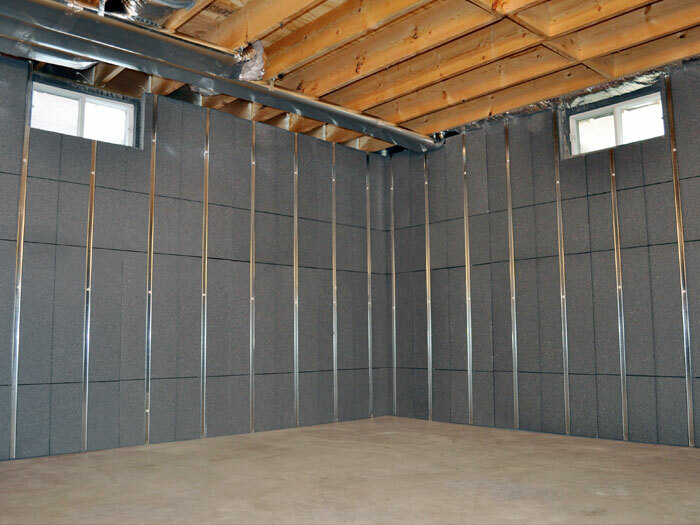 Basement To Beautiful™ Panels are designed with advanced SilverGlo™ insulation -- graphite-infused foam insulation that provides 24% energy savings over conventional foam insulation. 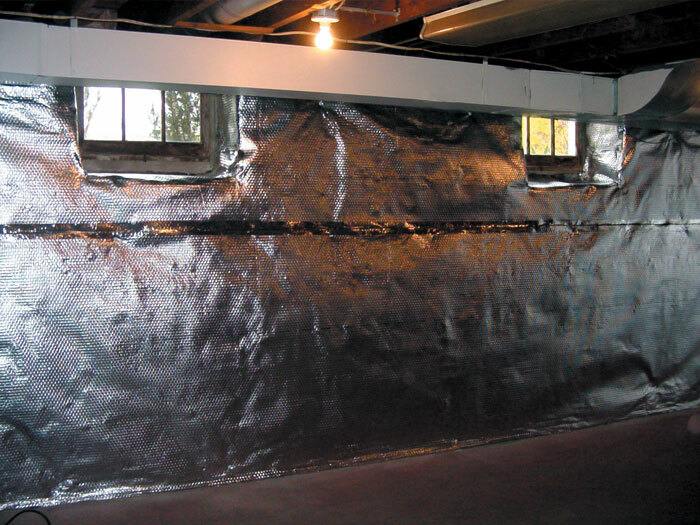 At 2 ½" thick, it creates a sheet of R-13 insulation on your basement walls, while also providing a vapor barrier to hold back humidity. These panels are 100% waterproof, and will not support mold or mildew growth in a humid basement environment. If you're planning on finishing your basement, our ThermalDry® Radiant Heat & Vapor Barrier is also a great product to install to prepare your walls for this home improvement. 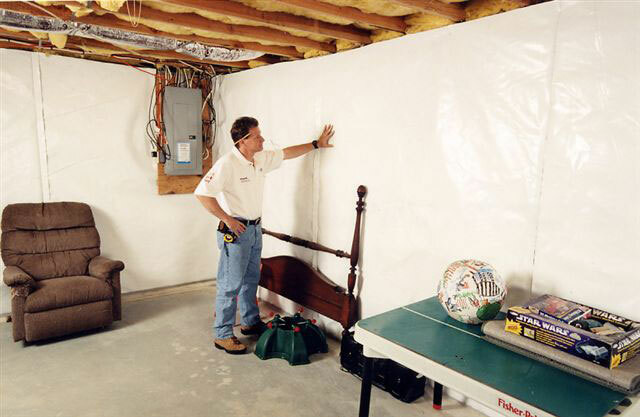 ThermalDry® Wall does double duty in your basement -- creating a vapor barrier on your basement walls, while also providing a reflective radiant heat barrier that will reflect 97% of the heat that reaches it back into your home. This saves you a bundle on your energy bills! Like our other wall products, ThermalDry® is compatible with our drain systems as well, and can direct water and condensation from the walls into your perimeter drain. 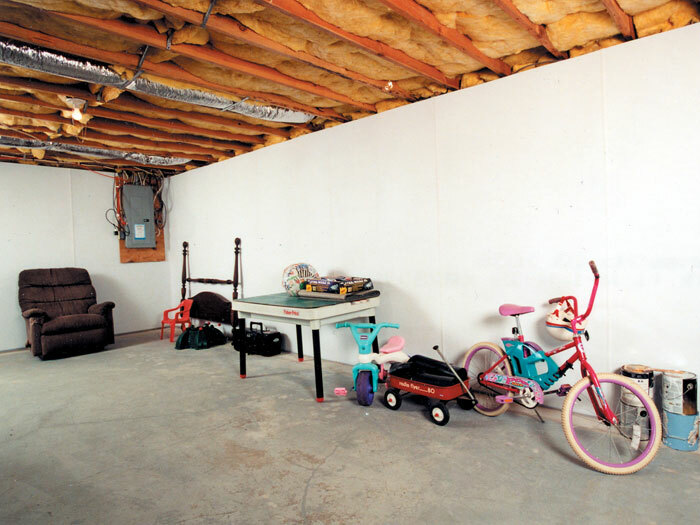 Many homeowners with finished basements are disappointed to discover that their basement has flooded, leading to potentially serious damage to their drywall, insulation, and wall studs. 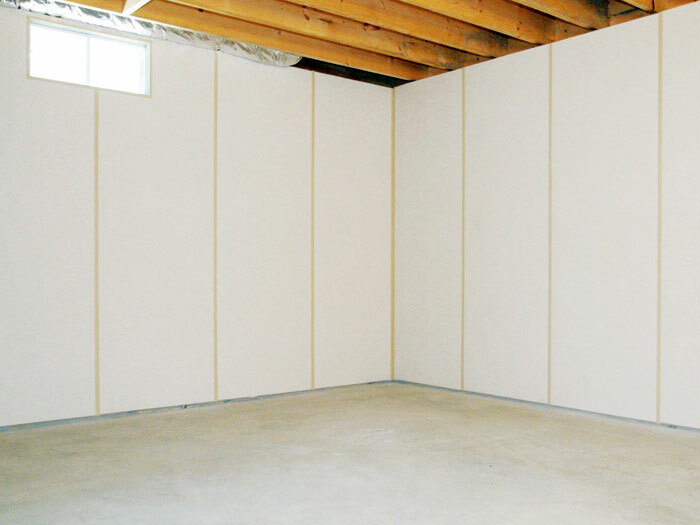 This basement wall system replaces the water-damaged lower area of your drywall with a durable, waterproof paneling product. A stylish chair rail lines the top of the wall, providing a stylish accent to your system. The EverLast™ Wall Repair System is 100% waterproof, will not support mold and mildew, and will not be damaged by humidity in your basement. Our Wall Products Are A Great Way To Upgrade Any Basement! Our quality basement wall products can be installed by our experts quickly and effectively -- with most installations being completed in one, perhaps two days. Each product has been designed for the unique environment that basements offer, and are designed to resist mold growth and damage from moisture. To learn more about our basement wall products, call or e-mail us today to schedule a free, no-obligation basement wall upgrade quote! With each free quote, we include a professional consultation and inspection, a written cost estimate, and a complimentary full-color copy of our basement book.